Diamond Platinum cluster pendant. This diamond pendant Sizzles with bright SI 1 clarity G-H color diamonds that total 1/2ct tw. Round center diamond is a beautiful 1/3ct tw stone surrounded with round diamonds. 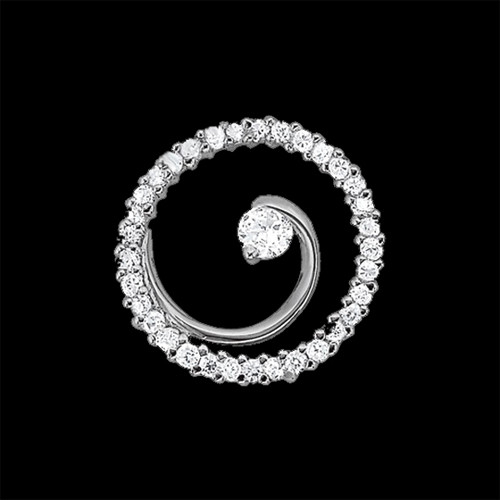 Diamonds also encrust the bail in this incredible pendant. Add a suggested Platinum chain to convert this pendant into a necklace. 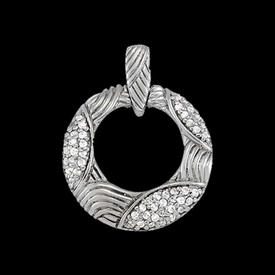 Gorgeous Platinum diamond pass design pendant. Platinum pendant measures 20.5mm top to bottom by 7.8mm across. Diamonds are SI 1 clarity G-I in color and total 1/4ct tw in this design. 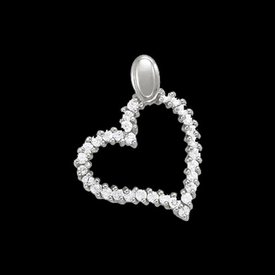 You'll love this finely crafted Platinum diamond pendant, just one in our incredible Platinum pendant collection, also check www.platinumonly.com for additional pendants. 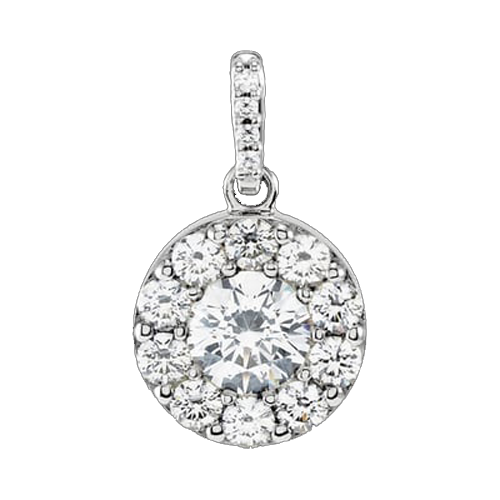 Tantalizing Platinum diamond circle pendant. This diamond pendant measures 16.75mm across and diamond total 3/8ct tw. Diamonds are vibrant SI 1 clarity G-H in color. 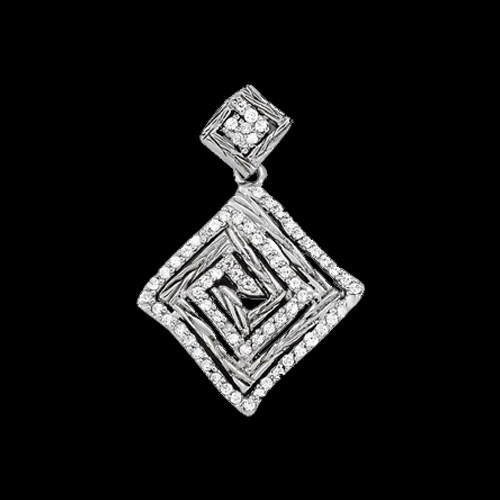 A truly beautiful platinum diamond pendant. 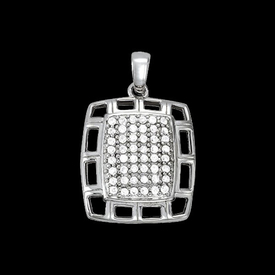 This finely crafted Platinum pendant is just one in our incredible Platinum pendant collection, also check www.platinumonly.com for additional pendants. Beautiful Platinum gemstone pendant. Trillion gemstone sits in this Platinum designer pendant and measures 9x9x9mm. 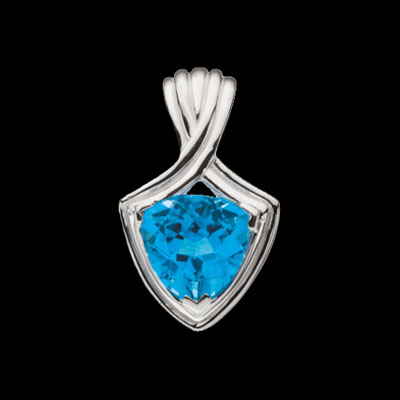 Our price shown is set with a Swiss Blue Topaz but we are happy to use your favorite gemstone in this design (additional gemstone cost may apply). Pendant weighs 7.3grams. 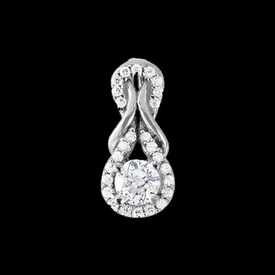 Incredible Platinum love knot diamond pendant. This gorgeous platinum pendant is available in a few carat weights, our price shown is for the 3/8ct tw SI 1-2 clarity H-I color diamonds. Indulge yourself with this captivating platinum diamond pendant. The 1 1/5 carat version of this beautiful pendant features a 1 full carat center and 1/5ct tw diamond accents. 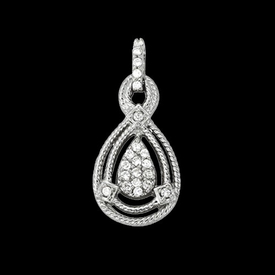 Pristine Platinum diamond drop pendant. This simple yet captivating design seems to cradle a 1/3ct SI 1 clarity G-H color diamond. Platinum pendant measures 30mm top to bottom by about 7.5mm across. A soft finely crafted design that transcends time. Vibrant Platinum diamond 3 stone drop pendant. This diamond pendant measures 30mm top to bottom and is set with 1/2ct tw SI 1 clarity G-H color diamonds. Diamonds graduate starting with a 3mm or 1/10 carat at the top of the pendant, a 3.4mm round in the center and a great 4.1mm round diamond as the anchor at the bottom. across and diamond total 3/8ct tw. This finely crafted Platinum pendant is just one in our incredible Platinum pendant collection, also check www.platinumonly.com for additional pendants. Platinum western style diamond pendant. 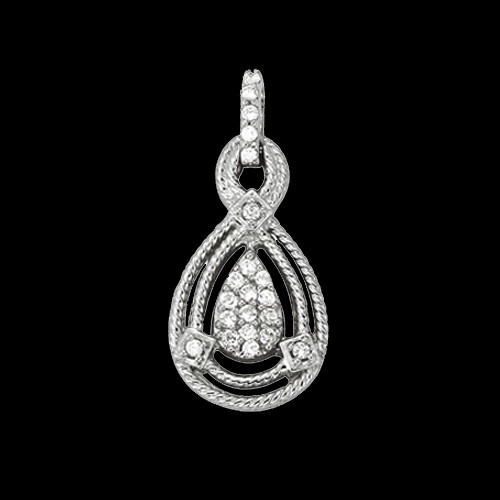 Rope design platinum borders a center teardrop shape full of diamonds. Diamonds on the bail, the center, and accent points total 1/5ct tw and are vibrant SI 1 clarity H-I color stones. 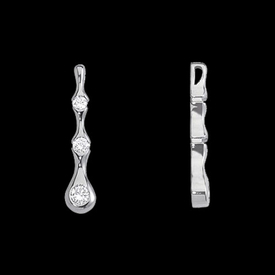 This Platinum pendant measures 25mm ( 1 inch) including the bail top to bottom by 12.5mm (1/2 an inch) across. This finely crafted Platinum pendant is just one in our incredible Platinum pendant collection, also check www.platinumonly.com for additional pendants. 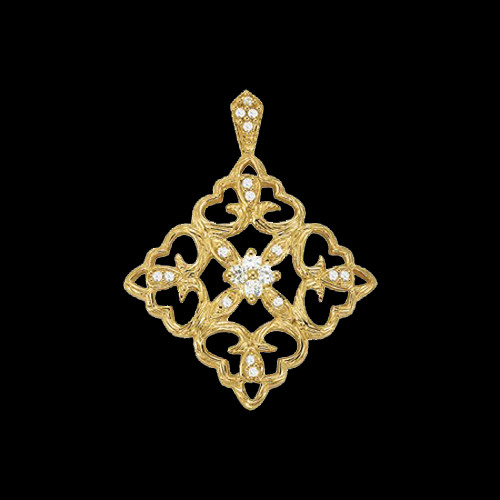 Dynamic 14k gold diamond large pendant. This incredible design features a rugged finish and measures 33mm top of the bail to the bottom by 26mm across. Diamond in this design total 1/4ct tw and are SI 1 clarity G-H color. Very stylish pendant available in 14k yellow or white gold and Platinum. 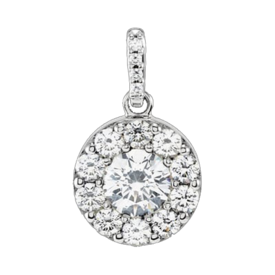 Platinum circle diamond pendant. This unique designer pendant measures 18mm across and including the bail top to bottom measures 24mm. Diamonds in this great design total 1/4ct tw and are SI 1 clarity G-H in color This finely crafted Platinum pendant is just one in our incredible Platinum pendant collection, also check www.platinumonly.com for additional pendants. 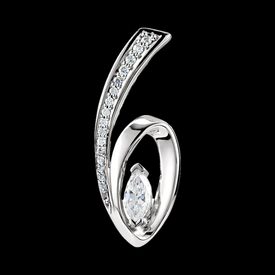 Stylish design Platinum diamond pendant. Beautiful Platinum pendant measures 25.75mm top of the bail to the bottom of pendant by 17mm across. Diamonds total 1/2ct tw and are sizzling SI 1 clarity G-H in color. This pendant weighs about 6.45grams. Indulge yourself with this unique Platinum pendant. Unique Platinum diamond pendant. This fun fashion design features a textured inside line copied with a diamond line. 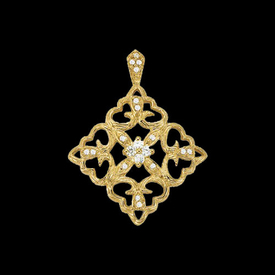 Unique diamond pendant is set with 1/3ct tw diamonds and measures 29mm top of bail to bottom point of pendant by 20mm across. A beautiful designer Platinum pendant. 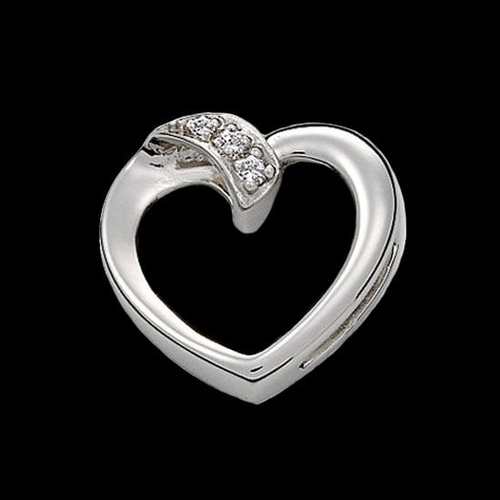 Stunning Platinum diamond heart pendant. This lovely heart hangs from the side and diamonds total 1/2ct tw, also available in a 1 carat selection. Diamonds are SI 1 clarity H-I color and this hearts measures 26.5mm top of the bail to point of heart by 23mm across. A gorgeous Platinum diamond heart. Lovely Platinum diamond heart pendant. Diamond heart measures 28mm by 22mm and is set with .27ct tw SI 1 clarity G-H color diamonds. 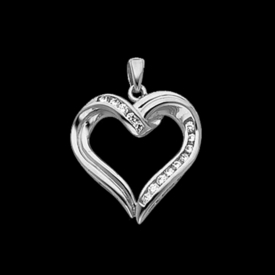 Platinum heart weighs 7.21grams, a beautiful loving pendant. We have listed a Platinum venetian box .80mm chain option to wear with this lovely pendant. 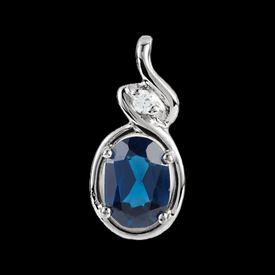 Incredible Platinum gemstone pendant. 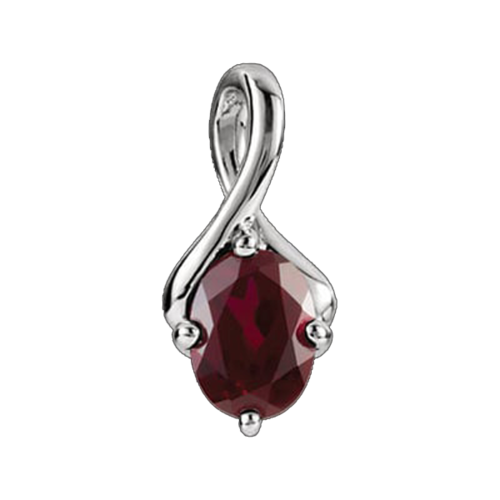 This gorgeous platinum pendant is set with an 8x6mm oval Rhodolite Garnet. Beautiful gemstone measures 8x6mm oval gemstone, A beautiful, unique platinum pendant design. Incredible Platinum gemstone and diamond pendant. This gorgeous platinum pendant is set with a 7x5mm oval gemstone, price shown is with a genuine A grade blue Sapphire and a dainty diamond accent. Additional gemstones also available and listed. This item is made to order. 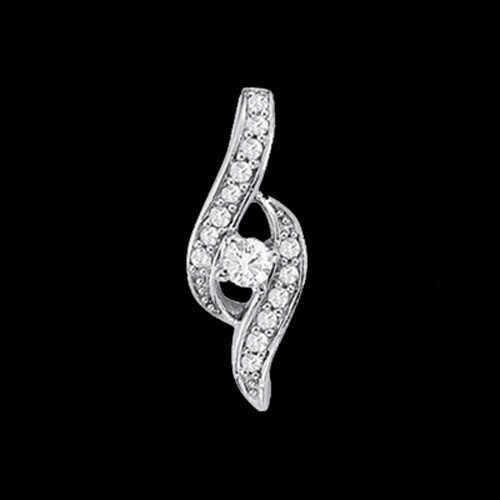 A beautiful platinum pendant design. Incredible Platinum Emerald peace sign pendant. This awesome pendant is set with a genuine 4mm round Emerald which looks beautiful set in Platinum. Pendant is substantial at 13.6grams. 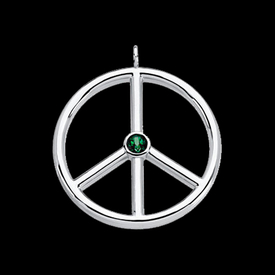 Peace has never looked better then in Platinum. A great platinum pendant design. 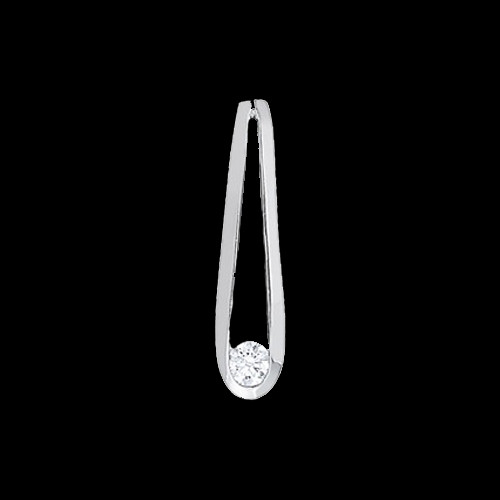 Unique Platinum diamond pendant. This gorgeous platinum pendant is set with .64ct tw diamonds that features a 1/2 carat Marquise focal point. Diamonds are all SI 2 clarity G-H color. This item is made to order so, if you would rather have an Emerald, Sapphire, or maybe Ruby center, simply email for a price quote. A great platinum pendant design. Superb quality Platinum pendant holds a 6mm round Black Cultured pearl. You'll love this pendant. Platinum Heart Pendant. Lovely simple design holds .03ctw accent diamonds. Weighs 4.17 grams. This platinum pendant is a slide design and features a polished finish.